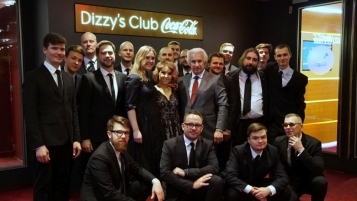 In January of 2018, the Latvian Radio Big Band will embark on a tour in the US, to perform in two world-famous jazz concert venues - Dizzy’s Club Coca Cola at the Lincoln Center in New York on January 8th and at Kennedy Center For Performing Arts in Washington D.C on January 10th. In the US, Latvian Radio Big Band will present a project, featuring tales from Latvian folklore in jazz arrangements – concert programme “Mare Balticum”. The arrangements were created by Australian jazz superstar James Morrison. The project has also been recorded and released in a CD. Audiences will also have the chance to hear the young Latvian jazz, soul and gospel star Kristine Praulina, Grand Prix winner of the International Jazz Artist Contest “Riga Jazz Stage”, who will sing newly composed Latvian jazz melodies. Some of them rendered in English, thanks to American composer, lyricist, and producer Gordon Pogoda. “This US tour highlights a stage in Latvian jazz music; over the last twenty years, we have organized festivals, contests, as well as have worked so that the Latvian Radio Big Band could regain their shine. The dream has come true – we will perform in some of the significant concert venues of the birthplace of jazz. We hope to surprise the knowledgeable US audiences with the powerful performance of Latvian Radio Big Band, who just last year celebrated their 50th anniversary. This is the first Latvian orchestra to perform on the other side of the Atlantic Ocean,” – says Maris Briezkalns, the Artistic Director of the Latvian Radio Big Band. These concerts continue the legacy of Maris Briezkalns Quintet, who performed in New York, Washington D.C. and Philadelphia, including the legendary “Blue Note” jazz club. 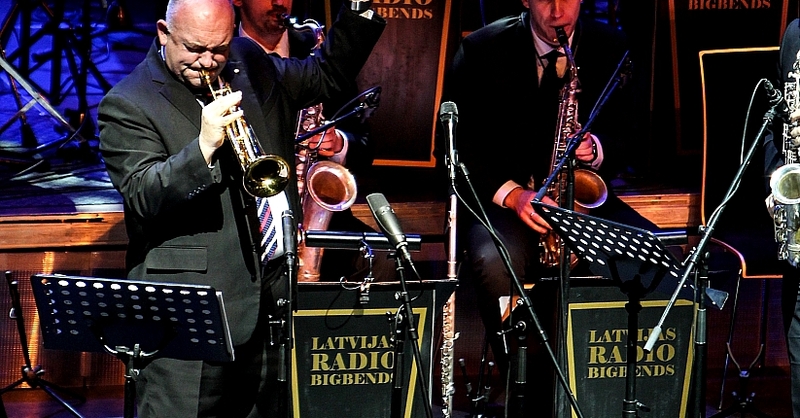 The Latvian Radio Big Band has gained international recognition performing together with such world renowned artists as Jojo Mayer, Kurt Elling, Allan Harris, the New York Voices, Randy Brecker, Diane Schuur, Shayna Steele, among many others. “The Latvian Radio Big Band is great – they have a bright and promising future ahead of them!”– Grammy Award winner, vocalist Kurts Elling. The band has released several recordings, including “R.Pauls | Opera”, featuring the famous Latvian composer and pianist Raimonds Pauls and Chamber Orchestra Sinfonietta Rīga, “Mats Holmquist. Big Band Minimalism”, as well as original music CDs “Latvian Jazz Suite vol.1” and “Latvian Jazz Suite vol.2”. Concerts on 8th of January in New York start at 7.30 pm and 9.30 pm local time and in Washington D.C. on 10th of January – at 6.00 pm. The concerts are part of Latvia's Centenary celebrations, organized by the Centenary Bureau (LV100) of the Latvian Ministry of Culture. 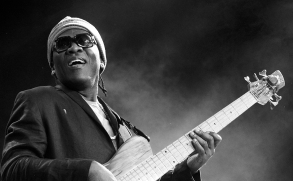 Richard Bona & Latvian Radio Big Band - Baltic Premiere! 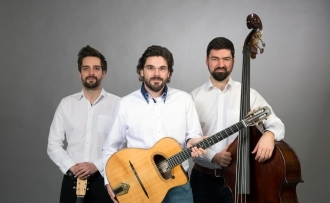 Delightful guitar and astonishing musicality – Joscho Stephan! Latvians win YouTube contest "Best. Cover. Ever. "!